◦Patented reverse spiral lubrication system. ◦New patented diamond coating producing an exceptional fine finish. 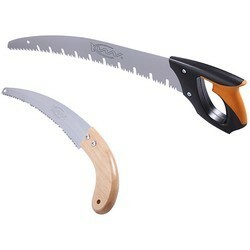 ◦Ideal for soft and wet wood cutting. ◦Round /oval tube available, with HCS blade. 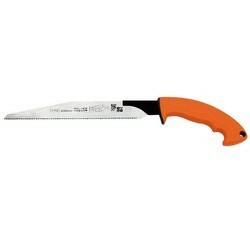 ◦Curved single edge cuts evenly on the pull stroke. ◦Finished hardwood handle or ABS+TPR handle. 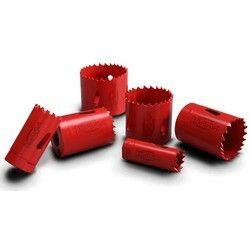 ◦Normal, file, three side sharpened teeth for your free selection. ◦16" SK85 hard chrome plated blade, Jetwise toothing with impulse hardening. 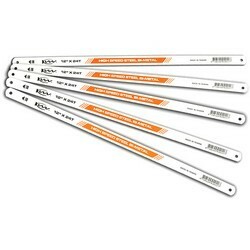 ◦Special design aluminum pole that is rigid, strong, and durable. 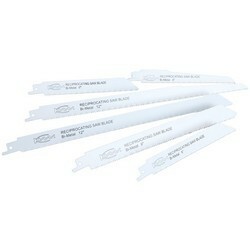 ◦JetwiseTM teeth provide a faster, smoother, and cleaner cutting experience. 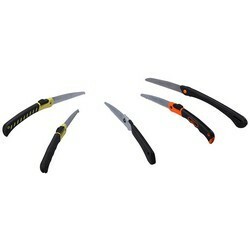 ◦Durable black plastic sheath with belt clip is include. 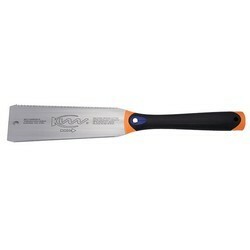 ◦Hard chrome-plated, taper ground blade for smooth cutting experience. 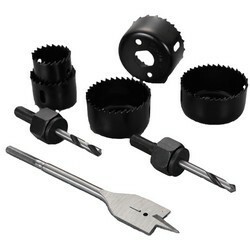 ◦Three edge sharpened new teeth configuration design for faster cutting. ◦Item no. KW74-0xxx for cutting 28.5mm. ◦The handle is made of soft dual materials, durable and outstanding appearance, conforms to human ergonomic design with wonderful and comfortable touch feeling. 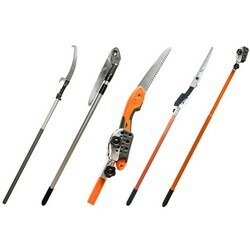 ◦“5-in-1”combination set one handle with5 different exchangeable saw blades. ◦Pulling cutting to save energy. 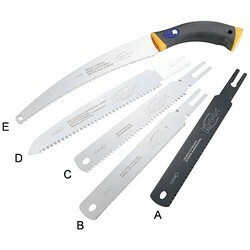 ◦Thin blade provides accurate cutting. ◦Different tooth form on each edge of blade to do both cross and rip cutting. ◦Quick change blade to handle assembly. 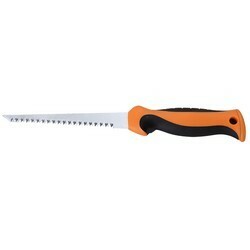 ◦Flexible blade for flush and finish cuts. 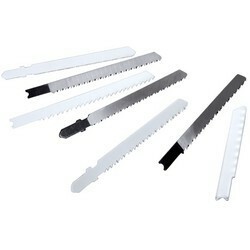 ◦Application for cutting plasterboard, planting work and dry wall. 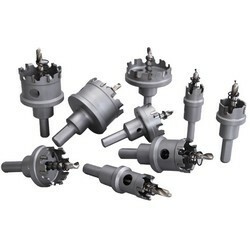 ◦Each tooth is individually process by CNC machining. 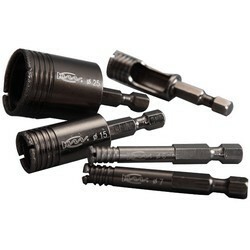 ◦Precision diamond ground teeth for razor sharp cutting. 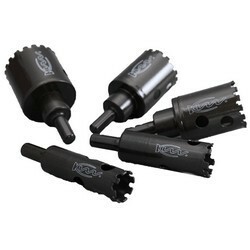 ◦3 sharp cutting edges on each tooth which cut wood fiber faster and cleaner. 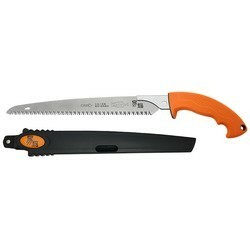 ◦Suitable for cutting PVC pipe, bamboo, lead pipe, and most wood materials. 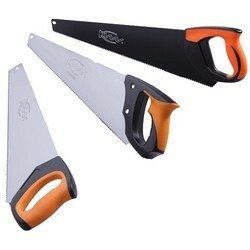 ◦Faster cutting and Clean cut. ◦Tooth sharpness lasts 3-5 times longer than regular tooth form. 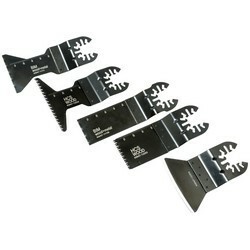 ◦Universal shank Multi-Tool saw blades fit all major brands: Bosch,Dewalt, Dremel, Makita, Milwaukee, Ridgid, Rockwell. 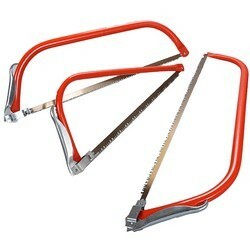 ◦Stepped shape for easily saw flush to the floor or wall. 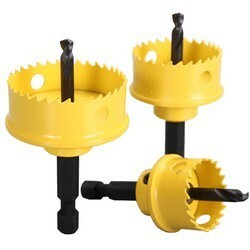 ◦Unique flange stopper to prevent over drilling. ◦Application for cutting stainless steel,steel plate, l-beam and cast steel.